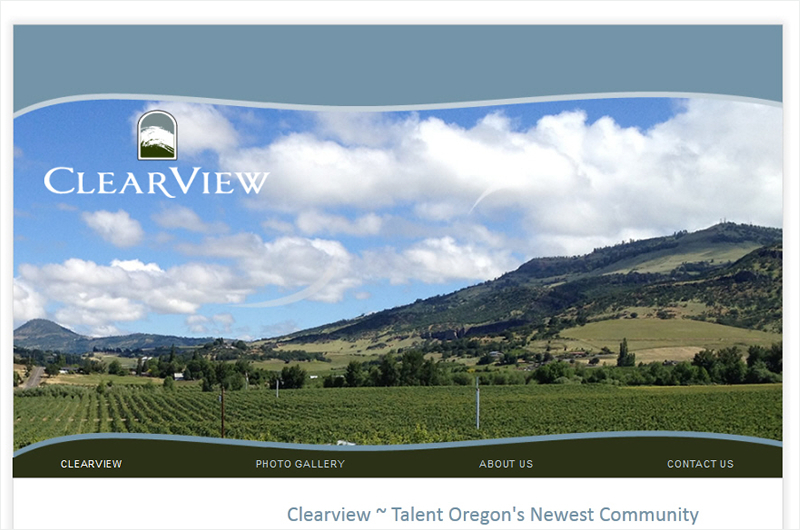 Talent Oregon’s newest development Clearview is a master-planned community. The first houses and commercial building have been completed and the project will eventually consist of a variety of housing types. When completely built, there will be single and two-story homes, town homes, and cottages. The first commercial building includes restaurants, offices and a 24-hour fitness center. To create this site, ruby slipper collaborated with the sales reps of John L. Scott Real Estate, and Brenda Cornett of BrandViva who created the logo. In this first phase, we present the concept, photos, team, and a way to contact Clearview for more information.